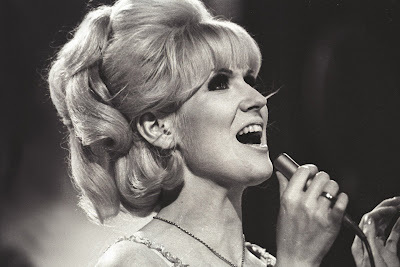 Mary Isobel Catherine Bernadette O'Brien (16 April 1939 – 2 March 1999), known professionally as Dusty Springfield and dubbed The White Queen of Soul, was a British pop singer whose career extended from the late 1950s to the 1990s. She is a member of the Rock and Roll Hall of Fame and the U.K. Music Hall of Fame. International polls have named Springfield among the best female rock artists of all time. Born in West London to an Irish Catholic family that enjoyed music, Springfield learned to sing at home. She joined her first professional group, The Lana Sisters, in 1958, then formed the pop-folk vocal trio The Springfields in 1960 with her brother Dion. Her solo career began in 1963 with the upbeat pop hit, "I Only Want to Be with You" (1963). Among the hits that followed were "Wishin' and Hopin'" (1964), "I Just Don't Know What to Do with Myself" (1964), "You Don't Have to Say You Love Me" (1966), and "Son of a Preacher Man" (1968). A fan of American pop music, she was the first public figure to bring little-known soul singers to a wider British audience, when she created and hosted the first British performances of the top-selling Motown artists in 1965. By 1966, she was the best-selling female singer in the world, and topped a number of popularity polls, including Melody Maker's Best International Vocalist. She was the first British singer to top the New Musical Express readers' poll for Female Singer. Her image, supported by a peroxide blonde beehive hairstyle, evening gowns, and heavy make-up, made her an icon of the Swinging Sixties. The marked changes in pop music in the mid-1960s left many female pop singers out of fashion. To boost her credibility as a soul artist, Springfield went to Memphis, Tennessee, to record an album of pop and soul music with the Atlantic Records main production team. Released in 1969, Dusty in Memphis has been ranked among the greatest albums of all time by Rolling Stone and VH1 artists, New Musical Express readers, and the Channel 4 viewers polls. The album was also awarded a spot in the Grammy Hall of Fame. After this, however, Springfield experienced a career slump for eighteen years. She returned to the Top 20 of the British and American charts in collaboration with the Pet Shop Boys on the songs "What Have I Done to Deserve This? ", "Nothing Has Been Proved", and "In Private". Interest in Springfield's early output was revived in 1994 due to the inclusion of "Son of a Preacher Man" on the soundtrack of the movie Pulp Fiction. 1178 BC – The calculated date of the Greek king Odysseus' return home from the Trojan War. 73 – Masada, a Jewish fortress, falls to the Romans after several months of siege, ending the Jewish Revolt. 1521 – Martin Luther's first appearance before the Diet of Worms to be examined by the Holy Roman Emperor Charles V and the other estates of the empire. 1746 – The Battle of Culloden is fought between the French-supported Jacobites and the British Hanoverian forces commanded by William Augustus, Duke of Cumberland, in Scotland after the battle many highland traditions were banned and the Highlands of Scotland were cleared of inhabitants. 1780 – The University of Münster in Münster, North Rhine-Westphalia, Germany is founded. 1818 – The United States Senate ratifies the Rush-Bagot Treaty, establishing the border with Canada. 1847 – The accidental shooting of a Maori by an English sailor results in the opening of the Wanganui Campaign of the New Zealand land wars. 1853 – The first passenger rail opens in India, from Bori Bunder, Bombay to Thane. 1862 – American Civil War: The Battle at Lee's Mills in Virginia. 1863 – American Civil War: The Siege of Vicksburg – ships led by Union Admiral David Dixon Porter move through heavy Confederate artillery fire on approach to Vicksburg, Mississippi. 1917 – Lenin returns to Petrograd from exile in Switzerland. 1919 – Gandhi organizes a day of "prayer and fasting" in response to the killing of Indian protesters in the Amritsar Massacre by the British. 1925 – During the Communist St Nedelya Church assault in Sofia, 150 are killed and 500 are wounded. 1941 – World War II: The Italian convoy Duisburg, directed to Tunisia, is attacked and destroyed by British ships. 1941 – Bob Feller of the Cleveland Indians throws the only Opening Day no-hitter in the history of Major League Baseball, beating the Chicago White Sox 1-0. 1944 – Allied forces started bombing of Belgrade, killing about 1,100 people. This bombing fell on the Orthodox Christian Easter. 1945 – The Red Army begins the final assault on German forces around Berlin, with nearly one million troops fighting in the Battle of the Seelow Heights. 1945 – More than 7,000 die when the German refugee ship Goya is sunk by a Soviet submarine torpedo. 1947 – Texas City Disaster: An explosion on board a freighter in port causes the city of Texas City, Texas, to catch fire, killing almost 600. 1947 – Bernard Baruch coins the term "Cold War" to describe the relationship between the United States and the Soviet Union. 1962 – Walter Cronkite takes over as the lead news anchor of the CBS Evening News, during which time he would become "the most trusted man in America". 1963 – Dr. Martin Luther King, Jr. pens his Letter from Birmingham Jail while incarcerated in Birmingham, Alabama for protesting against segregation. 1990 – The "Doctor of Death", Jack Kevorkian, participates in his first assisted suicide. 1992 – The Katina P. runs aground off of Maputo, Mozambique and 60,000 tons of crude oil spill into the ocean. 2003 – The Treaty of Accession is signed in Athens admitting 10 new member states to the European Union. 2007 – Virginia Tech massacre: The deadliest spree shooting in modern American history. Seung-Hui Cho, kills 32 and injures 23 before committing suicide. 2007 – President of Côte d'Ivoire Laurent Gbagbo declares the First Ivorian Civil War to be over.